What’s up, dolls?! 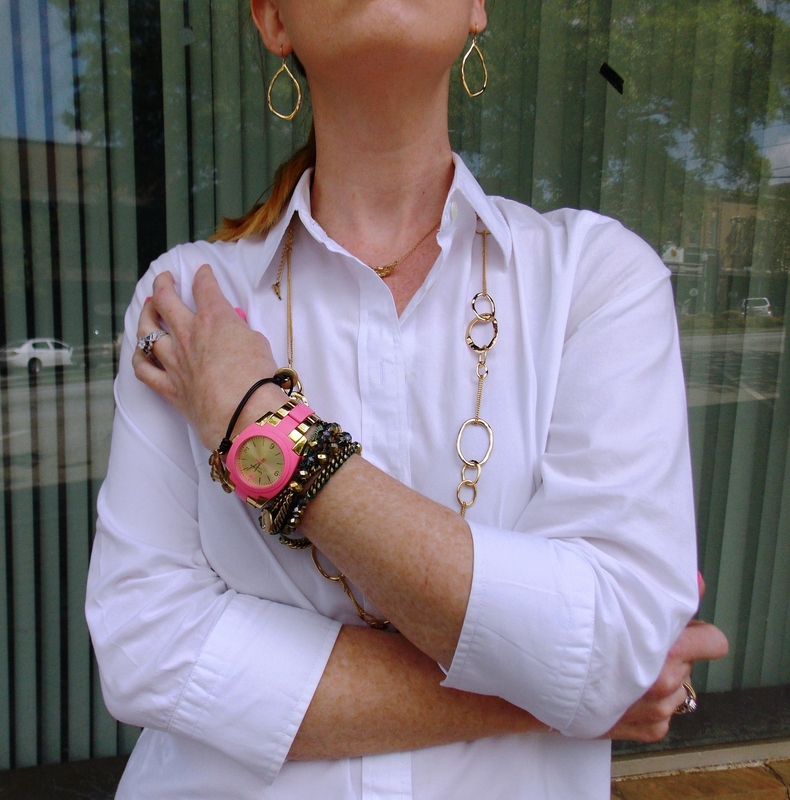 It’s Tuesday, rainy and boring here..but that didn’t stop me from bringing some casual chic to my blog today. 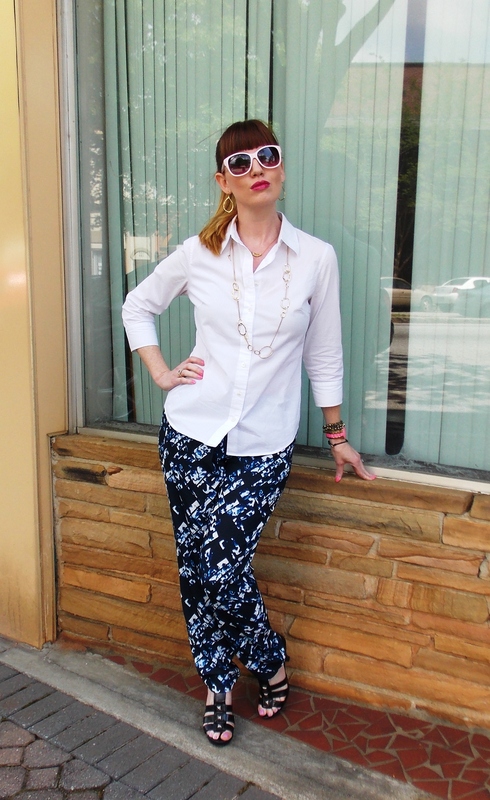 First, let me say I am LOVING these pants I picked up at Target a few months ago! They’re flashy without being over the top and tres comfy. I love the fit; its modern and loose but still flattering. 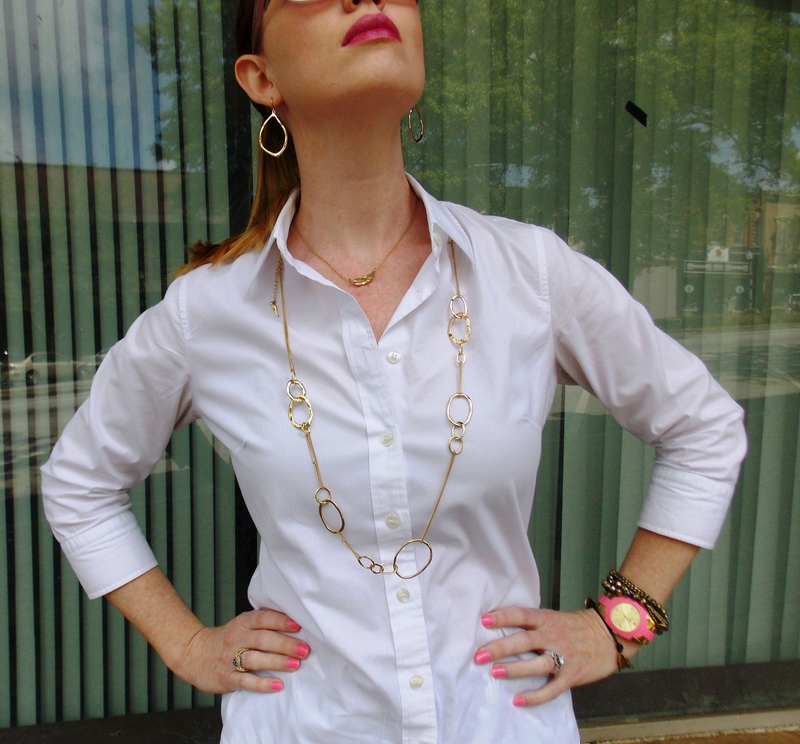 I paired the pants with a white button up blouse – simple, clean and easy – a great start to my week! Check out the pants here ! I did toughen the look up a bit by adding these Steve Madden, Madden Girl sandals. I’ve had these for a year or so but I also love these too! I also added a few pieces from my Chloe + Isabel collection which can be found here! I’m wearing the feather pendant necklace. Sold here. The sculpted feather leather wrap bracelet. Sold here. The organic link and chain necklace sold here. 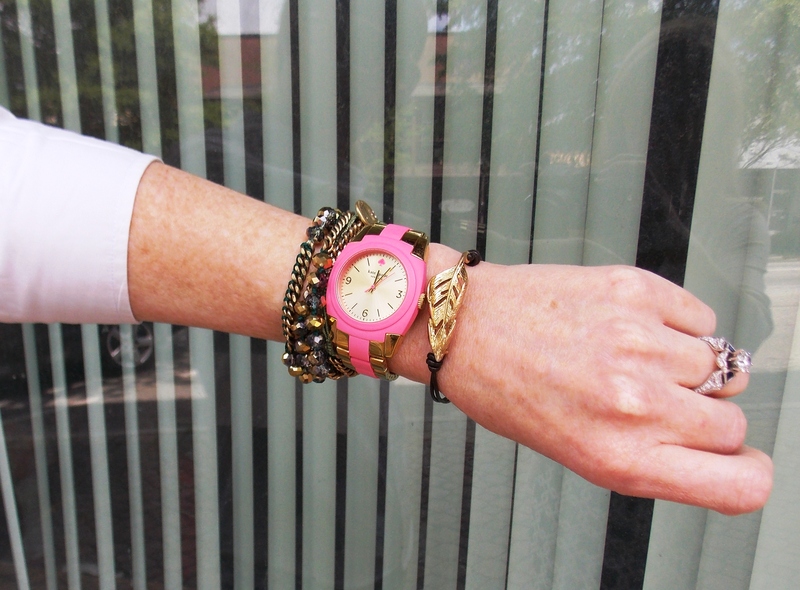 And one of my faves…the bead and chain multi-wrap bracelet sold here! « The Very Inspiring Blogger Award! Gorgeous! If (when;)) those pants go missing… it wasn’t me! Ok I just love the fit of those pants!! And that pattern… ahhh. Want. Casual chic is my style motto!! Love this post. Printed pants are my favorite. Just shot a great floral pair for my blog last week. Such a great look! 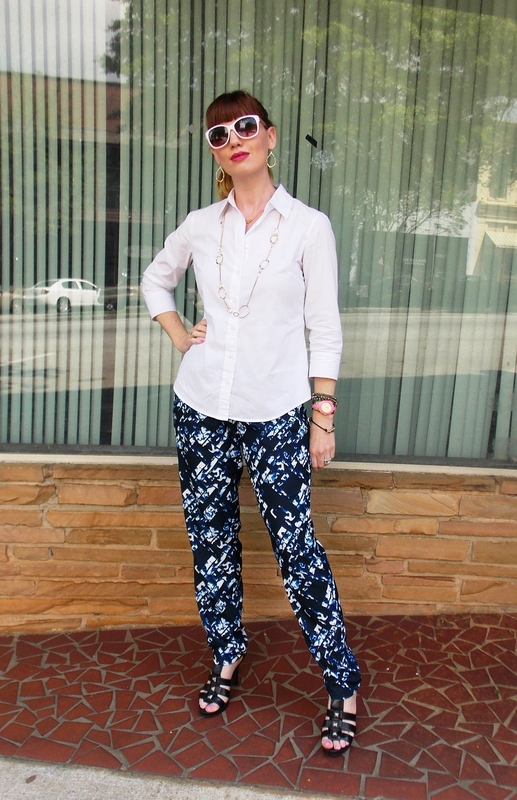 Amazing pants- I love that print- and I love how you added the heels. It’s a perfect dressed-up, dressed-down look; definitely flashy casual!! Thank you!! I’ve been surprisingly casual this week which is really weird for me…but I’ve so enjoyed being comfy! I'll swap you some posts for your email! Enter your email address to follow this blog and receive notifications of new posts by email. You'll make a red head I know really happy! Follow me on Twitter too! © Cortneybre and http://Cortneybre.com, 2014. Unauthorized use and/or duplication of this material without express and written permission from this blog’s author and/or owner is strictly prohibited. Excerpts and links may be used, provided that full and clear credit is given to Cortneybre and http://cortneybre.com with appropriate and specific direction to the original content.